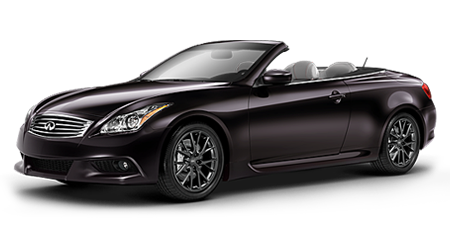 The arrival of the Infiniti Q50 in the UK marks something of a rebirth for Infiniti. It’s the first all-new model to be released under a fresh naming strategy (all cars are now Qs or QXs), and it’s also the first that specifically targets European buyers. To that end there’s a Mercedes-sourced 2.1-litre diesel in the range – but here we’re driving the flagship Hybrid. Power comes from a 3.5-litre V6 engine and a 67bhp electric motor, giving a total of 359bhp. Surging, punchy acceleration means we’ve got no complaints about performance. The seven-speed auto shifts smoothly, too, helping the Q50 hit 62mph from a standstill in only 5.1 seconds. In stop-start town traffic, it’s possible to make serene progress on battery power alone, and there’s no jolt or vibration when the engine kicks in. Motorway refinement is as impressive, with only a whisper from the mirrors slicing through the air. The emphasis is on performance not economy, but even so the claimed 45.6mpg is well short of the Lexus IS 300h’s 65.7mpg. If miles per gallon are important there’s always the 57.7mpg diesel, but this hybrid model isn’t really fun enough to drive to justify the extra fuel. The Hybrid is fitted as standard with Infiniti’s new Direct Adaptive Steering – on lesser models, it’s an £800 option. The world-first steer-by-wire system has no mechanical link between steering wheel and wheels aside from the traditional failsafe linkage. You can vary the steering’s speed and weight independently, yet we couldn’t find a really involving or natural-feeling combination. It’s good over rough roads, though, as a lot of the usual vibrations are dialled out. Thanks to regenerative braking there’s an odd springy sensation to the brake pedal, too – not the case with the diesel – so there’s little feedback on how hard you need to push. We were impressed by the suspension, however. It’s on the firm side, but delivers no jolts or crashes into the cabin. Loads of grip in corners means the Infiniti feels composed, yet it’s never as engaging as a BMW 3 Series. Interior standards are a huge improvement over the car’s predecessor, the G Saloon. All models in the range have a hi-tech feel with dual colour touchscreens in the centre console, and there’s also a general sense of quality to the materials and finish. The lower touchscreen can feel slow to respond to gestures, though, which is frustrating on the move. Pricing matches the Q50 Hybrid’s nearest rival, the BMW ActiveHybrid 3, but the Infiniti has far more standard kit, such as LED headlights and leather seats.